Dylan Ryder and I were (at the time) trying to get our Makerbot Replicator2 to successfully and consistently work. 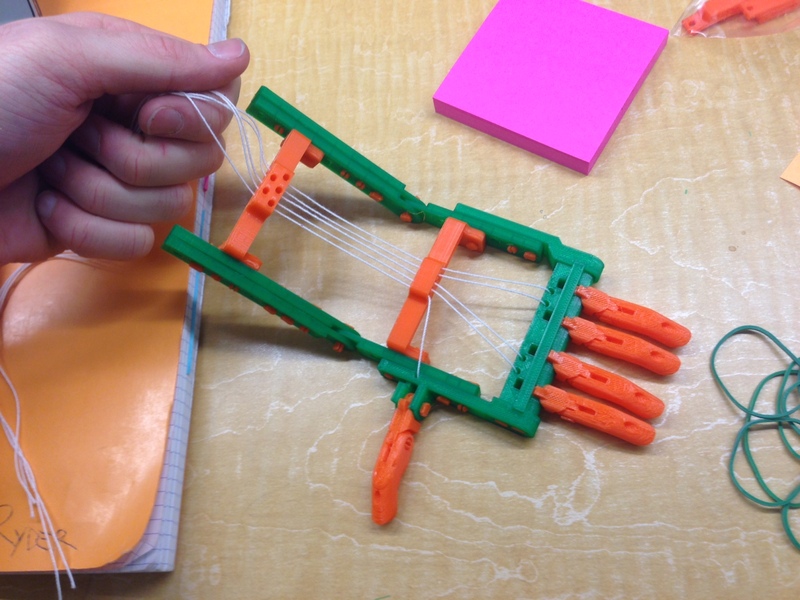 I was antsy to finally print out some 6th grade math models, while Dylan and his students in the Maker Club were excited to build and assemble a robot hand. Dylan had been hoping to also initiate a prosthetic limb unit in 4th grade and bring the hand as an incentive. After watching the video I sent, Kate Berten, a 4th grade teacher here at The School at Columbia University, contacted Dylan about prototyping a social justice-inspired unit in the Spring about assistive technologies. As it turned out, the hand Dylan’s students were waiting to print was the same prosthetic hand that the kid in the video was wearing!